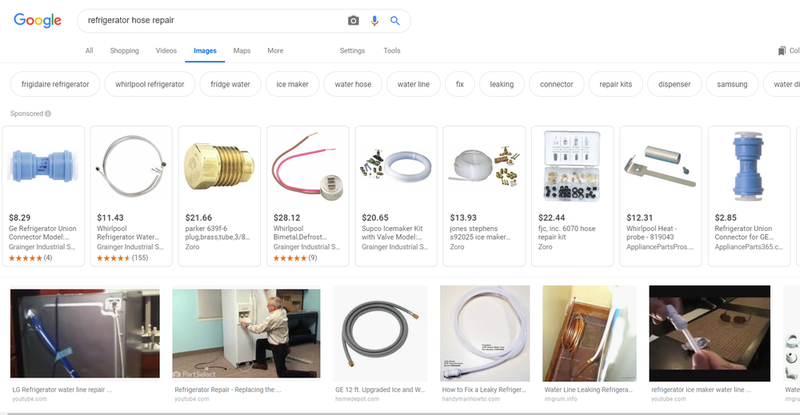 Google Images has always been an important part of the search options, whether you are looking for Cat in the Hat images for Dr Suess’s birthday (March 2, 1904), or trying to find that part on your refrigerator that is leaking. Google Images is a place people go to search for all kinds of information and since people are visual creatures by nature, it only makes sense that is included in the Google Search Network. Google started including the Shopping ads in the Google Image results as a beta in 2016. There have been different variations, but currently, the Shopping ads in image searches appear at the top of the page with the word sponsored in the left corner. While Google has been testing different versions of these Shopping ads since 2016, this was only an option, if you opted-in to search partners. Google is now making a change and these ads will be part of the Search Network. If you were opted into the Search Partner Network, you will see a decrease in traffic and an increase in traffic from the Search Network. How will this change affect online retailers who are running shopping ads? Now that Google Images is part of the Search Network (which includes Google Search, Google Play, Google Shopping and Google Maps) we can expect an increase in increase in impressions, clicks and spend. It will be important to watch this new change unfold to see how it affects shopping campaigns.